Whatever the outcome of David Cameron’s negotiations with other European leaders regarding our future relationship with Europe, I am a firm believer we should stay. Here I list some of my most important reasons. For an organisation that is touted as being such a waste of money, and aspiring to be a superstate in the same breath, it really is a bargain. 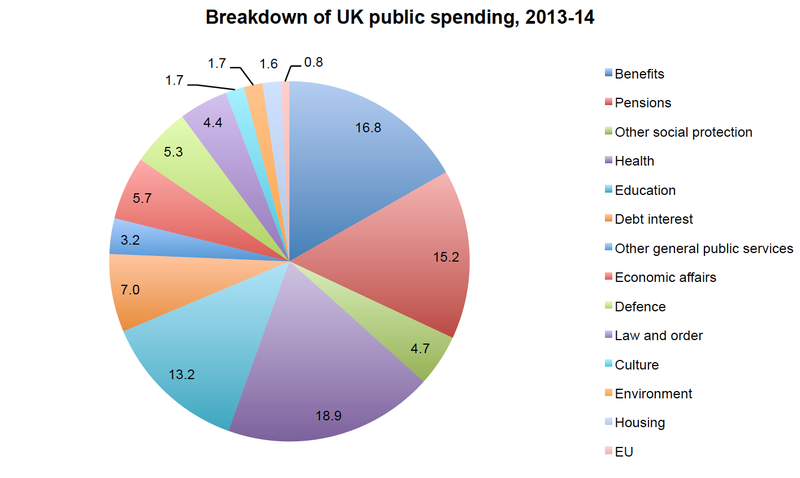 Less than 1% of national spending goes on the European Union. Compare that to the budget for welfare, pensions and the national health service. Eurosceptics will have us believe that the true value is a lot higher, and while it is certainly true that we are legally obliged to hold VAT within certain limits, that does not mean that all the VAT we pay goes to the European Union……far from it. The British government still holds the lion’s share of more than 98% of what it raises in taxes from the British people…so please….don’t exaggerate the superstate argument. 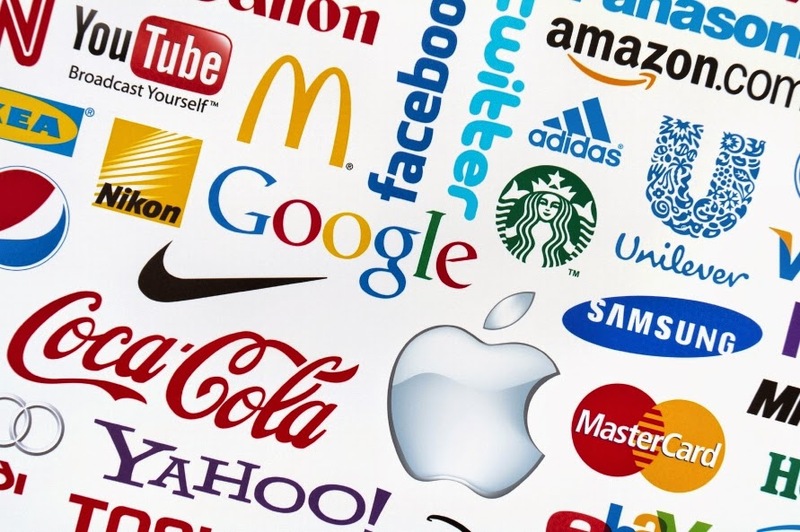 Multinationals are becoming ever more devious in trying to control out lives…just look at all the fines the likes of Microsoft, Google, banks and others have had to pay out to the EU and others. This can only be effectively done if these organisations are policed and controlled by larger organisations such as the EU. Britain on its own will find it hard to fight its corner in the face of ever more powerful multinational organisations. If Britain voted to leave the EU, it will reignite the debate in Scotland about whether they want to stay in the UK. 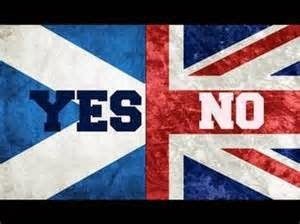 A possible scenario may be that Scotland demands another referendum (which would be justified given a change in the UK’s status), and that if the independence campaign succeeds they would be entitled to take the UK mandate with them, thus abrogating any requirement for them to reapply to join the union. This could quite feasibly swing the vote in Scotland towards the majority wanting to leave. I know a lot of people in the UK couldn’t care less about European stability following a UK exit. I’m sure there were a lot of such people back in 1914 and 1939 as well. Britain leaving Europe is likely to cause a ripple effect in the rest of Europe, and ultimately it could threaten the stability of the entire organisation. There will be a power shift within the union towards the south, a situation which Germany, Holland and the Scandinavian countries would find very unpalatable, and that may lead to pressures within Europe towards disintegration. People laugh today at the idea of some kind of neofascism rising in Europe again, but this is exactly what could happen. Think of the success that the Front National is already having in France. One of the most defining moments for me in the Scottish referendum was George Galloway pleading with the audience about the “merits” of becoming independent, and comparing it to an acrimonious divorce process. I think the same would be true with a UK divorce from Europe. UKIP will tell you that we will have a friendly relationship with the rest of Europe once we leave (see point 4), possibly by remaining within the European Economic Area. In all likelihood, we will have to renegotiate trade relationships with the EU, but this is not likely to be a friendly process. European politicians aggrieved at our attempts to destabilise the rest of the union are not going to give us favourable terms in any trade talks, and we will be one against many being told to take it or leave it. How could we maintain our influence going it alone ? (particularly if Scotland decides to leave). The US sees the UK as valuable, specifically because it sees it as a valuable bridge between the the EU and the US. It wants the UK to stay within EU, and sees that as a part of its strategy of maintaining a strong transatlantic relationship to counterweight the rise of China. A rump UK would certainly lose its permanent seat on the security council. Brtain punches above its weight because, and not in spite of, its membership within the EU. In short, Britain would lose its relevancy internationally if it left the EU. I know, everbody hates bankers and banks, but the fact remains that the UK’s financial sector is huge. It contributes 8% to the UKs gross value added figures, 3.4% of the jobs in the UK, and over 20 billion pounds was raised in tax receipts from financial organisations. Indeed, it constitutes a substantial proportion of the UK’s trade surplus in services. One of the reasons so many financial organisations are based in the UK is because it is in the EU. True, some companies will remain in the UK because everybody speaks English, but I imagine the main benefactors upon a brexit will be Dublin and Frankfurt as many companies relocate.we will see in the next years how many organisations will follow Deutsche Bank’s lead. Think also of all the foreign car manufacturers that use the UK as a manufacturing or assembling base, by virtue of the fact we are a member of the union. Stability in Northern Ireland is largely helped by the fact that there is an open border with the Irish republic. If we left the union, there may be pressures to change that rearrangement, which could indeed reignite a whole tinderbox. Indeed, might such problems also start up in Scotland if we leave the EU, given the separatist sentiments up there. The EU is a unique organisation in the world. It is a family of nations that have come together to relinquish some sovereignty in order to cooperate and do things together, and in this way promote peace across the continent as a whole. Of course it costs money, many facets of administration are governed transnationally, and if we left the EU these functions would still have to be reproduced in the UK, and that would also cost money. UKIP tells you there is going to be a United States of Europe. The British want to stay British, but the French also want to stay French, the Germans German etc. etc. Our cultural independence is not what is at stake in the EU. Nobody is suggesting we join the Eurozone either. Parties like UKIP definitely have a role in the future of Europe, I think its part of the necessary political dynamic within Europe that there are some forces that may want an integration, and others who prefer a “Europe of Nations” founded on free trade. In the 80s life in Britain was hard. For many people, the only place to go to make a living was the rest of Europe. British people profited from freedom of movement in those days. Now the tables are turned precisely because our economy is doing good. If our economy turns bad again, people may want to speculate by looking for employment abroad again. If you are unskilled and untrained the prospects for that will be poor, but at least the rest of Europe (currently) has an open door for such people, unlike the US and most of the commonwealth countries. We have to get it in our heads, we have immigration because times are so good here, and when they are not so good, we have somewhere to go too. China and India are set to become even more economically powerful. The world is multipolar and its important that Europe stays united in such a world to face any new challenges we might face. This is not going to happen if the EU is destabilised by countries seceding from the union. The old commonwealth countries are joining their own regional economic unions, and the commonwealth will never realistically be revived as a meaningful organisation. Europe has to stay united to face the challenges of the future, and should not flirt with disintegration. Only our potential enemies will profit from that. Being independent can appeal to the romantic side of us, it seemed to be a major driving force as to why many in Scotland could feel that country could go it alone. While I am a European in the head, in the heart I am much more an Englishman or a Brit, those are my clear allegiances, for example, at sporting events. I think that is true of most continental Europeans.. The whole principle in Europe is based on giving our neighbours support so that their economies are stabilised, and become prosperous, so that the spectre of future instability and warfare becomes much less likely. It is unfortunate that many in Britain cant think that way, but if you have any vision at all, it is obvious that working to achieve prosperity across the whole of Europe is not just a selfless undertaking. In the end, we should all benefit from that. That also of course applies beyond Europe’s territories too, and it is the same logic which underpins our entire approach to providing such a generous foreign aid programme. Its true that our country had been exposed to sociological and economic pressures due to mass migration, but EU based migration, large though it is, has been due to people coming into our country to work and pay taxes, and alleviate many of our economic pressures. The problem of benefit fraud mostly arises from non-EU migration, and not from EU migrants. Only yesterday I read an absurd story about bangladeshis coming into the UK to claim housing benefits for one day. The author took pains to point out that they came from Italy, a country with which we have an effective border, this was an obvious attempt to psychologically blame the EU for something it had no role whatsoever in. For me the issue of EU membership is all about what I think my head thinks is best, and what we need. It would be nice in some ways to go back in time to when the British Empire was great. but for me that time has gone and we have a new future and new challenges. All Empires have one thing in common…they fall, and they rarely if ever recover. We have to get used to that fact and accept it. Nationalism brings little positive, it creates division and it wrecked our part of the world at the start of the 20th century. It continued wrecking places like Yugoslavia, and it threatens havoc in the former Soviet Union. I think Scottish nationalism is as misguided as UK nationalism. Nationalists use simple arguments about national pride to woo people over, but what they forget is that when you loosen yourself from structures such as the UK and the EU it presents huge risks to the economy, and can lead to acrimonious relationships where new inter-nation deals are being negotiated. In this day and age, it is hard to be independent from someone on the other side of the world, let alone your neighbour.